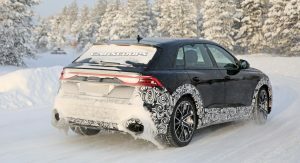 We’ve been seeing Audi RS Q8 prototypes with production-ready bodies since last summer, which has only served as to build up anticipation for what will surely be Ingolstadt’s fastest-ever SUV. 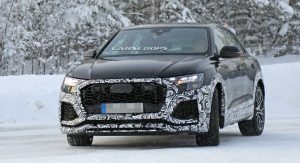 It will also look more aggressive than the regular Q8, so as to stand shoulder to shoulder with the likes of BMW’s X6 M and Mercedes-AMG’s GLE 63 S Coupe, two models that have yet to be challenged by Audi, or anyone else for that matter. 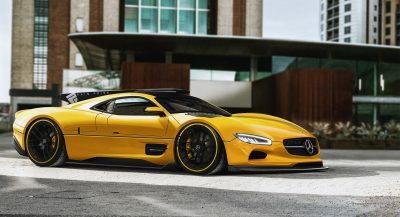 Like previous prototypes, this one is also equipped with large dual-tone multi-spoke wheels, massive composite brakes with six-piston calipers, wider bodywork, more aggressive-looking bumpers and large oval exhaust pipes, like you find on all Audi RS products. 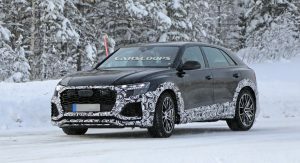 The RS Q8 will also sit a little bit closer to the road compared to the regular Q8, which should emphasize its superior handling characteristics. 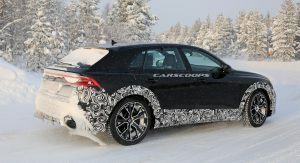 As for its interior, we expect it to feature the same high-tech gadgetry as the standard model, which means a 12.3-inch virtual cockpit display, to go with the dual touchscreen console setup and the latest MMI infotainment system. Additional goodies should include sports seats, more vivid contrast stitching and some RS-specific driving modes. 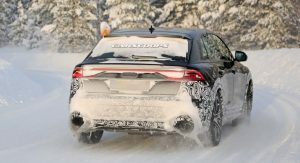 Keeping up with the Urus? 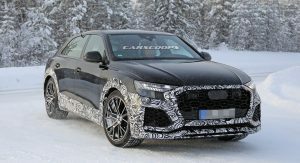 As of right now, the general consensus is that the RS Q8 will be powered by the same twin-turbocharged 4.0-liter V8 unit as the Lamborghini Urus, which has 650 PS (641 HP) and 850 Nm (627 lb-ft) of torque. 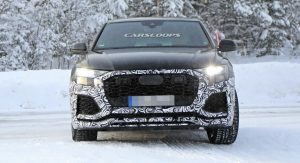 However, Audi might decide to downgrade their crossover a bit, possibly to around 600 PS (591 HP) – so as to not upset the Lambo, while still being more powerful than the GLE 63 S Coupe and the X6 M.
Audi should unveil the RS Q8 later this year as a 2020 model. 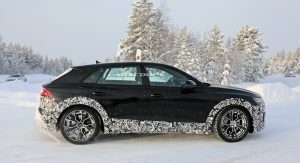 I saw the new A7 in person the other day and was a bit underwhelmed. 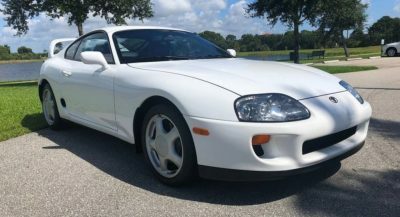 The lines aren’t as crisp as the outgoing model, which I own. The Q8 on the other hand still has sharp lines, which I really appreciate. 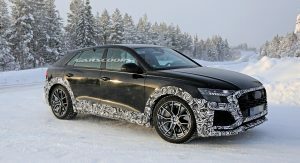 I probably wouldn’t want the RS Q8, that’s too much power for an SUV, but perhaps a used S Q8 would be a nice replacement for the A7 in 4 years or so. 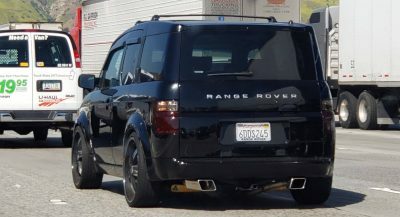 All I see is a sports wagon, something akin to a larger A4 allroad but fancier. Next PostNext China-Only McLaren 570GT Cabbeen Collection Now Available In U.S.